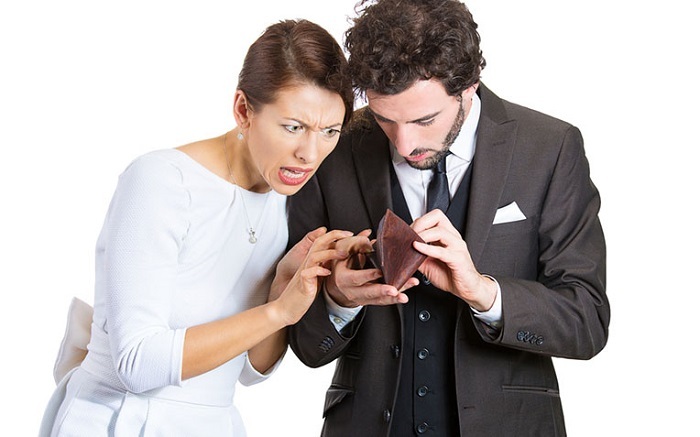 So you’ve fallen prey to one of the most common issues that break up couples—financial issues. Your boyfriend simply refuses to spend money unless absolutely necessary, and it’s taking a real toll on your relationship. You might feel like your man doesn’t care about you or that he doesn’t think you’re “worth” his spending, or maybe you’re just tired of dishing out all of the funds for date night. If you’re considering breaking up with your man over this issue, that’s completely understandable, but don’t do anything yet. There are a few steps you should take to ensure that you aren’t perceiving the situation wrong or blowing things out of proportion. After all, you don’t want to let a good guy go over a simple misunderstanding. Follow these steps, and we’re sure the situation will resolve itself. Click here to see a program that I recommend that will teach you how to understand men. This might necessitate actually asking him about his financial situation, something you should be completely comfortable doing if you’re in a long-term relationship. Did his boss cut his pay at work? Is he saving up for something important, like a future between the two of you? A lot of times, there is some sort of underlying reason for his stinginess with money, and if there is, do your best to be empathetic and understanding of his situation. Of course, there is still a good chance that he really is just a bit cheap, and if that’s the case, there are still additional steps you should take. You’ll just feel more comfortable taking those steps if you know that he isn’t struggling financially. Is the situation really unfair, or does it just seem that way? Maybe your past relationships have all involved excessive spending on the part of your partner. Maybe your previous partners have paid for dates while this boyfriend makes you split the bill. Just keep in mind that different doesn’t always mean bad. Most differences can be adapted to after you’ve been in the relationship for long enough. However, it’s still possible that you’re actually being treated unfairly. Does he make you pay for everything, even things that the two of you share? Does he skip out on buying you gifts for your birthday and Christmas even though you buy things for him? Is he reluctant to buy even the most basic necessities? These are all signs that perhaps your man is truly treating you unfairly, but he himself might not even be aware of it. Okay, so there’s no underlying financial reason for his behavior that you can find, and you do feel like you’re being “ripped off,” so maybe there’s a social reason. For example, when he insists that the two of you split date expenses fifty-fifty, is it because he wants to avoid spending money at all costs or because or something else? Many men in this day and age recognize the feminist emphasis on equality, and perhaps he fears that paying your expenses will send out the wrong message—that you’re somehow incapable of taking care of yourself. When you actually take the time to talk to him, you may find once again that he simply has your best interests in mind. He may have even thought he was doing you a favor! There are plenty of benefits to being with a light spender. He’s probably always going to find the best deals on items, and he will rarely buy things extravagant that you won’t need. He’ll also be less prone to impulse purchasing and will most likely consult with you before making any big financial decisions. Consider the opposite extreme, which would involve him spending excessively and recklessly, possibly accruing large credit card debt, and having no money saved for important life events. Even if you wish he’d spend a bit more liberally, think about his positive qualities and ask yourself if you can deal with this one issue. This suggestion really only works for long-term, committed relationships, but to be worried about finances in the first place is probably a sign that your relationship is getting more serious. If you aren’t ready to leave him just yet but still are not satisfied with his money management, you can suggest that the two of you start pooling your funds and saving up for something you can do together. It could be anything from a nice dinner to a romantic vacation—it all depends on your financial situation and the nature of your relationship. If he agrees, it can be a good opportunity for the two of you to get into the same romantic rhythm. Maybe it can even build a foundation for what’s to come. There you have it—how to deal with a cheap boyfriend. If you’ve tried all five steps, your boyfriend is unwilling to cooperate, and you’re unable to accept his cheapness, it might be time to end the relationship. This should only be done in extreme circumstances, of course—in most cases, the people in the relationship are capable of working out an arrangement that both find acceptable. However, different people have different tolerances for certain behaviors. If your boyfriend knows that this particular issue bothers you and knows you’re willing to compromise and work it out but still refuses to budge, that’s usually a pretty good sign that the two of you not compatible. Think of it this way—if it wasn’t this that broke you guys up, it would probably be something else a bit further down the line. Needless to say, we hope and believe that your relationship with your frugal counterpart can succeed, especially if the two of you truly care about each other and desire happiness. If you follow these steps to a T and the relationship still ends, you can rest easy with the knowledge that you did everything you could to preserve it. However, the most likely scenario is that your boyfriend has a good reason for doing what he’s doing and will explain it to you. Good luck! I recommend that you look into a special program that will help you to understand men, click here to view it.